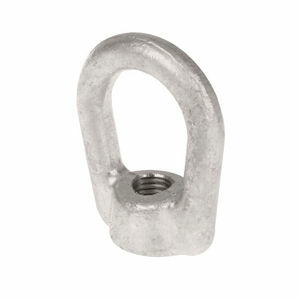 Ovaleye Bolt Eyelet has slotted hole which allows bolt to be inserted from eye side. Standard eyenut that fits 1/2" diameter bolts. 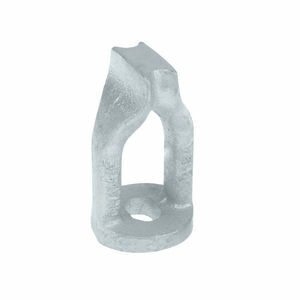 Most commonly used for deadending, back-guying, and attaching pole head guys on the threaded ends of crossarm bolts. Standard eyenut that fits 3/4" diameter bolts. 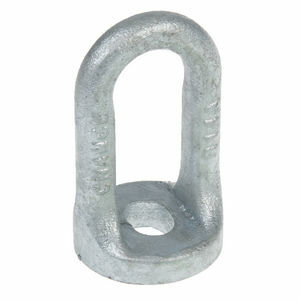 Most commonly used for deadending, back-guying,and attaching pole head guys on the threaded ends of crossarm bolts.Drop-forged hot dip galvanized steel. Standard eyenut that fits 5/8" diameter bolts. 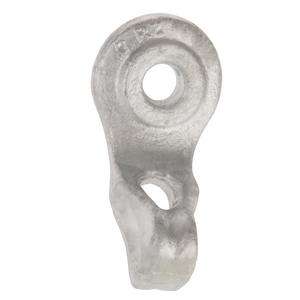 Most commonly used for deadending, back-guying, and attaching pole head guys on the threaded ends of crossarm bolts. Threaded Thimbleye® for attaching to 3/4" thru-bolts or threaded end of straight or angle Thimbleye® bolts for straight-away head guys. 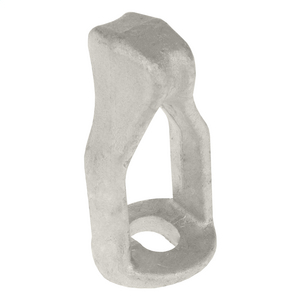 Threaded Thimbleye® for attaching to 5/8" thru-bolts or threaded end of straight or angle Thimbleye® bolts for straight-away head guys.Drop-forged galvanized steel. 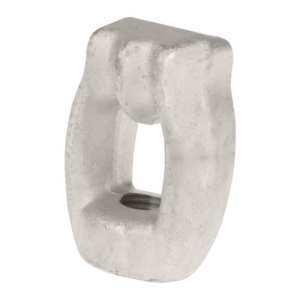 Threaded Twineye® used for head or stub guying of two strands,Twineye® Nuts can be attached to 3/4" thru-bolts or threaded end of straight or angle Thimbleye® bolts. 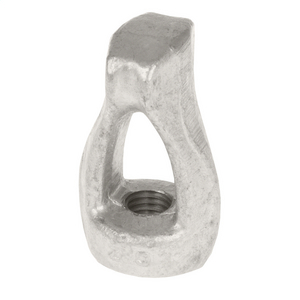 Threaded Twineye® used for head or stub guying of two strands,Twineye® Nuts can be attached to 5/8" thru-bolts or threaded end of straight or angle Thimbleye® bolts.